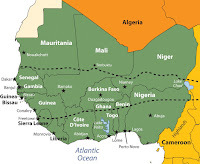 In a statement issued this week, the Economic Community of West African States (ECOWAS) expressed outraged at the news of the terrorist attack perpetrated in Grand-Bassam, Cote d’Ivoire. The ECOWAS Commission said it is closely monitoring the situation, and is in total solidarity in the fight against terrorism. The cabinet reshuffle announced late Sunday would see four women in Sierra Leone’s Cabinet for the first time. 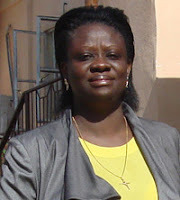 Diana Finda Konomanyi, former local government minister, is now Minister of Lands, Country Planning and the Environment. Nanette Thomas, 60, who is shown at an attitude and behavior rally announced by President Koroma during his first term, is now Minister of Political Affairs and Public Affairs. Onetime All People's Congress party women’s leader, Elizabeth Mans, 56, (pictured left) is Fisheries and Marine Resources Minister, while Sylvia Blyden, 44, (lead photo) will become social welfare minister following the departure of Moijeuh Kaikai and his deputy, Mustapha Bai Attila, after a bitter row that went viral. Blyden is a journalist, political commentator, newspaper publisher, and a former Special Executive Assistant to Sierra Leone's President Ernest Bai Koroma.